And they clothed him in a purple cloak; and after twisting some thorns into a crown, they put it on him. And they began saluting him, ‘Hail, King of the Jews!’ (Mark 15:18). The emperor Augustus gave Herod the title King of the Jews and his connections with Rome, the emperor Augustus and his court were extraordinary.6 Throughout his long reign he desperately, but abortively, wanted to establish some kind of “dynasty” or royal line, as evidenced by his marriage to the Hasmonean princess Miriame. So obsessed was he with genealogical records that Josephus reports that he had the archives at Sepphoris destroyed, lest any rivals challenge his pedigree or put forth their own. His son, Herod Antipas,7 tried much the same, seeking to forge royal connections through marriage and building his magnificent capital at Sepphoris, just a stone’s throw northwest of the tiny village of Nazareth. Meanwhile, in Rome, Octavian, as the emperor Augustus, also sought to establish a dynastic line of succession by his adoption of Tiberius not long before his death. It seems that “Dynasties” were in the air in the 1st-century CE Roman world. Our earliest source for Jesus as a Davidic “Royal” comes from Paul (Romans 1:3). Indeed, I believe that the Davidic messianic claims for Jesus are an essential factor for any interpretation of the figure of Jesus in his own time and context. I am convinced the Messianic self-identity of Jesus opens up a world of understanding of both the man and his movement, and that without it, any interpretation of the historical Jesus fundamentally fails. I have always been a bit puzzled when I have been asked: “But why would you think Jesus thought himself to be of Davidic lineage?” when my question would be the opposite: “How could he have possibly viewed himself otherwise, given what we know of the movement, its beliefs, and its history?” Teachers, prophets and charismatic healers are one thing, but the coming of the “Messiahs of Aaron and Israel” was at the heart of Jewish expectations of the future under the rule of a succession of Herodian rulers who were considered to be corrupt and illegitimate kings. (See my recent post here on the “Two Messiahs” concept). 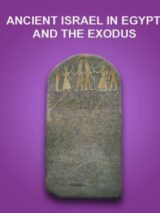 We known the splendor with which Herod was buried from the account in Josephus and the ruins of the Herodium, especially the more recent discoveries of the late Ehud Netzer (see here). Jesus, in contrast, was crucified as a criminal and was hastily and temporarily placed in a rock-hewn tomb near the place where he died. Joseph of Arimathea, who had taken charge of his burial, likely provided a more permanent tomb for Jesus, and perhaps for the rest of his family, shortly thereafter (see my exposition on this here). Like other rabbis and teachers of the time we can expect that the followers of this “Branch of David” would have made sure that he and his family were well taken care of, in death as in life. The elaborately decorated sarcophagus of Herod stands in sharp contrast to the plain undecorated ossuary of Jesus, son of Joseph, of the Talpiot tomb. That the Jesus of the tomb also has a son named Judah makes the entire Dynasty concept all the more dynamic. Several years ago, standing in the parking lot of the condominium complex overlooking the Talpiot Jesus family tomb I suddenly realized, looking to the south, that the Herodium, which became Herod the Great’s fortress Tomb, was clearly visible in the distance. I thought to myself–how appropriate! The two men called “King of the Jews” – but for very different reasons and in very different contexts – buried within sight of one another! In the BAS DVD Where Jesus Walked, Hershel Shanks visits Nazareth, Galilee, Capernaum, Bethsaida, Qumran, Sepphoris, and Jerusalem to view sites where Jesus walked. 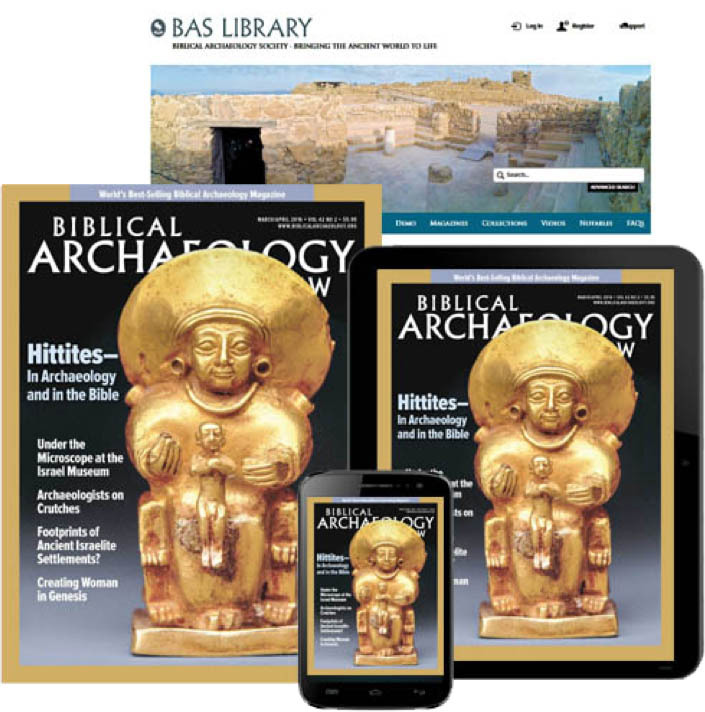 Along the way, Shanks meets with the world’s most prominent archaeologists and biblical scholars to discuss the archaeological discoveries that link these sites to Jesus. Their lively, in-depth conversations offer a clear picture of how current archaeology is illuminating the New Testament. 2. See my post “Standing Again with Jesus: Ecce Homo Revisited,” here. 5. Eisler, whose 1929 German edition was translated into English is long out of print but it can be found in most libraries and is available in a photocopy edition, see more here. 6. See Peter Richarson, Herod: King of the Jews and Friend of the Romans (Philadelphia: Fortress Press, 1999. 8. See my arguments in this regard in the article “Are You the One? The Textual Dynamics of Messianic Self-Identity,” in “Knowing the End from the Beginning: The Prophetic, the Apocalyptic, and their Relationships,” edited by Lester L. Grabbe and Robert D. Haak, Journal for the Study of the Pseudepigrapha Supplement (Sheffield: Sheffield Academic Press, 2004), pp. 180-191. Two weeks ago I had an epiphany as if a message from God , that Jesus was the legimate King of Israel, his authority in speaking , and calling people “his sheep” as he was the shepherd (the spiritual guide and ruler in earth ) , not just to the 12 tribes if Israel , but eventually of all nations. And the lack of information about Joseph his adoptive father, all seem to pony to this fact if his royal lineage. I have since been looking into it deeper and am overjoyed to find that learned biblical scholars find this to be true , but I must add that my inspiration has revealed also the dual role of Jesus, he had a spiritual mission as the light of the world , the truth , the way , and an earthly mission as King , his spiritual mission seems more important to him , there is even an instant in which the people want to make him king and he fled, but could it be that whoever published the final copies of the New Testament had an interest to portray Jesus as a lowly carpenters son , born to a holy work, and not the whole truth about him – royal -Prince to the purest royal bloodline of David, next in line to be King? To the Israelites , all tribes of Israel the King and the anointed one are the same thing , the King in other cases was guided by prophets. In the case of Jesus Christ he was both. But his royalty was hidden , also from Jews today, if this became widely known and taught. It would serve to legitimize him as authority indisputably , and wit King Jesus with our guide , we are all brothers and sisters in God’s flock. We all need this missing piece of the puzzle to affirm his teachings as Truth and his love as universal, he wasn’t God , but God was with him and is now with us because of Jesus. Thank you for affirming the message I received spiritually , I hope I am not the only one , true peace can come of this . God is love. The Talpiot Tomb has been proven to have no relevance to Jesus Christ. Jews lie as much as muslims do to undermine the Word of God. The way the Talpiot Grave is casually cited as the tomb of Jesus Christ just BLOWS my mind. 2000 years later and the nasty Jews are still doing their very best to destroy their Messiah, Jesus Christ, the Son of God. Utterly shameful article! I expect nothing less from some here to whom these verses apply: “…he who does not believe has been judged already, because he has not believed in the name of the only begotten Son of God. “This is the judgment, that the Light has come into the world, and men loved the darkness rather than the Light, for their deeds were evil. “For everyone who does evil hates the Light, and does not come to the Light for fear that his deeds will be exposed.” John 3:18b-20 NASB. Stop trying to poke holes with your finite human fingers in the divine tapestry of God’s plan to save your souls. Humbly consider that if God is God, His wisdom is vastly better than your own on your best day. Humble yourself to consider that you could be wrong, and that if you are wrong about God and His Son Jesus then the consequence is your own eternal judgement in flames of fire (Luke 16, etc.) apart from God. Please, repent of your pride, sins and evil deeds, and believe on and bow to Jesus Christ as your King and Savior. Jesus did NOT consider himself as a messiah – so called “messianic secret” is resolved only if the title messiah is a post-ressurection title (Wrede, 1911)! Sure, as a trouble maker was treated as an enemy of State and Priestly Hierarchy Collaborators with the Occupant and Taxing enslaved sheep (read Josephus). Fortunately that man was vindicated TOTALLY=ressurected. Scandalous that maybe just few sees this one perfect interpretation: together with the bloody Justice against those who participated in the killing of an innocent rebel on A.D. [email protected] Anihilation. Who was the Lord GOD speaking to in Genesis 1:26? Who does Isaiah refer to in Isaiah 52:13-15, 53:1-12? How many prophets sent by GOD did Israelites kill because they did not like GOD’s message telling them to repent? Does the history of the Jewish nation repeat itself? Sorry error in my first note …..
answered and said. Idiom. Ap 6 ( Bullingers appendixes ). In this idiom the word “answered ” receives its meaning from the context. Here it = confessed , or repented and said. sinned. Heb ch-at’-a. Ap 44. i.
ready. Heb. hu-n. Occurs only here: = rash, or presumptuous. Mark 15:2 > Thou sayest = Thou thyself sayest [ it ] . ct ea eayest = Thou thyself sayest [it). Is it true that rapture theory doctrine has been taught for only the last two centuries? How does the prophesy negate this doctrine or give arguments against it? Please respond by email if you would be so kind. One thing about the history of Jesus has always puzzled me: allegedly, all of this took place during the Roman occupation of Judea…but he stumble on the first hurdle: Rome considered its victory ovr Judea and the Jews an outstanding feat, attested by the building of the Arc of Titus, where it is depicted the destruction (the second one) of the Temple and Roman troops parading triunfally along the streets of jerusalem. Rome found very difficult to defat Judea because Jews were the sole monotheistic religion, whilst all the other nations, Rome included, had several gods. This polytheism was normally used by Rome to show some respect for the vanquished, by adding the defeated people’s gods into the own Roman pantheo, so as to appease the defeated. thus, a Gaul, a German… couldfind a shrine where his gods were present. This, however, was impossible with Jews, because their God was exclusive invisible and above all the others. So, when Rome finally subdued jews, the first thing to do was to try to erase the memory of this rebellious monotheistic nation by changing its name (thet is, to be known hene) as Philistine (Palestine); Judeas’s ingabitants (Jews9 as Philistines (Palestines) and, extremely important, the city of jerusalem, whom Romans recognized as the “capital city of the kingdom of Judea”, they renamed Aelia Capitolina. Summarizing: while under Roman occupation, nobody would speak of Judea, or jews, or jerusalem, even less of a King of jews (A messiah) for Romans new too well that the mere mention to these elements of Jewish religion might easily ignite another revolt. Consequently, how is it possible tht the supposed history of Jesus mentioned things as Judea, Jews, the Sanhedrin (by that time, all the high priests had either been killed or deported from the now Philistine; also, that Jesus expelled the merchants from the Temple…what temple, if Romans had destroyed it, to supress another element of Jewish religion? 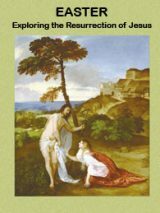 I would be very glad to have an answer to all of these questions, for it is still being debated who Christ was and not only there are no objective references (the Gospels are interested parties) of his existence, but that same history from the Gospels has served to bring pain and death to Jews for a long, long time, so i feel that to have a learer idea about these aspects of the alleged life of Jesus would be very useful. like some Bourbon Restoration Movement in France be of both interest to the actual descendants of such royal lineage and their supporters to bring them back to the throne as PRACTICAL rulers.. BUT to the people of Jesus’ time the ideas of mESSIAHS (Davidic royals, Priestly lineage from AARON-ELIEZER ,or even the latest incarnation of the idea –to the successor of the rebel JOSEPH who tried to uprot Rome several decades earlier)–theese were all UTOPIAN SALVATION ideas to usher in some perfect age free of the Roman YOKE –FREE to live with the blessings and peace given under the special agent sent by the God of Israel to bring this about.. The trouble is that these BELIEFS and HOPES were NOT actually promised by God in the Jewish Holy Scriptures –the people -inluding JESUS–should have known that but such was the mESSIANIC FERVOUR expectation that both RESTORATIVE MOANACHY and UTOPIAN SAVIOURS still were being expected. HAD the people read the scripture propely-they would see that NOWHERE does any Scripture (that made it into the canon of the TANNACH) later—promise GOD will send a MESSIAH to save the people (EXCEPT for the prophecy in ISAIAH about KING CYRUS of PERSIA who is called a MESSIAH)—otherwise the use of the word M’shiach (MESSIAH) or any of its derivatives like M”shicho (HIS MESSIAH –refering to GOD’s MESSIAH) is NEVER used anywhere else in the TANNACH to indiicate a SUCCESSFUL “ANNOINTED” who will SAVE the people ,,,,M’shiach is used to indicate a MESSIAH who FAILS TO SAVE (in Daniel -though the CONTRAST of the ACTUAL SAVIOUR who is not called a mESSIAH but only SAVES after a MESSIAH fAILS TO SAVE –is also revealed in the Book of Daniel)..M’shiach is ued in its quotidien sense of high priest performimng his function ,or of a royal descendant of the Davidic luiine–but in neither cases is there ANY promise of SALVATION of the PEOPLE from their enemies …THE BOOK of PSALMS uses lots of references to M’shiach –but where the word is used is mostly in reference to a future Davidic Messiah for whom the Psalmist pleads with GOD TO SAVE! IT is not the MESSIAH who CAN SAVE–but only GOD who CAN SAVE HIS MESSIAH FROM the ENEMIES OF THE MESSIAH! THis is more GOD SAVE THE KING HOPE than any promise of a future MESSIAH who SAVES the PEOPLE from their enemies..
WELL–what about prophecies where the word MESSIAH is not used but there is clear indication the promise MEANS a future MESSIAH will save. AGAIN one needs to distinguish verses of a hoped for SAVIOUR of the people from the ENEMY vs. a MESSIANIC designation ,and also to distinguish fuzy or erroneous allusions to royal or priestly linkage with some promised SAVIOUR. THUS the famous “SHOOT OF JESSE” prophecy in ISAIAH is deemed to be MESSIANIC -when again the term MESSIAH is not used but the allusion is suppoed to be referencing a DAVIDIC descent because JESSE is DAVID’s FATHER..however ,the allsusion to JESSE is erroneous because IF the prophet wanted to be precise about MESSIANIC linkage he SHOULD HAVE STATED “shoot of DAVID” –by putting the possibility that such a SAVIOUR (who is not called a MESSIAH) of being descended from JESSE”s oTHER offspring–thus NOT ROYALS — the prophet is really indicating that this NON-MESSIANIC SAVIOUR may stem from JESSE but is not from DAVID and so NOT MESSIANIC. You may get a SAVIOUR in prophecy but you can’t claim this is guaranteed to come from a ROYAL RESTORATION . SO is it a “PROPHECY” from GOD via his propjhet or a mere hope of that author? IS the author confused about evven whther the SAVIOUR predicted willbe a priestly or a royal Messiah? OR even a MESSIAH (“annointed) -SAVIOUR? IT is not as clear as the less poetic other Isaiah who simply stated KING CYRUS of PERSIA who he called MESSIAH would come and save the people. THUS we see CLEAR PROPHECY of a MESSIAH vs. fuzzy HOPE for a SAVIOUR who might be priestly or royal or simply decended non-royal of Jesse’s other offspring. THE poetic Isiah is very confused. THE other Isaiah is clear and to the point. I leave you to determine which of the 2 isaiah’s is the true prophet 9well score one for the Messianic King Cyrus prophecy)–the other fuzzier “predictions” have not yet come to pass. BUT you would THINK GOD would have sent a clearer message along the CLEAN CLEAR KING CYRUS mESSIANIC tremplate… YET NOWJERE else in the TANNACH is such a ‘MESSIANIC PROPHECY” of an “ANNOINTED” SAVIOUR ever again specified.Instead we get fuzzy UNAMED SAVIOURS who may or may not be ROYALS ans MAY or MAY NOT be Priests or maybe thewre are 2 SAVIOURS -piestly and of the line of Jesse -but in that case if the Jesse-line is not Davidic that Saviour cannot be of the Restored Davidic “annointing” -and s not a Messiah -Saviour -only a Saviour. In all this confusion–no wonder the people-including JESUS were confused about MESSIANIC promises and what type could be a SAVIOUR .. FINALLY when the “REBEL” MEESIAH SON OF JOSEPH idea formulated a few decades before Jesus -this further could confuse things–either a mESSIAH could simply be annointed from common folk –not a DAVIDIC ROYAL or descended from the AARONIC priest line — OR you could STILL link it via shoot of JESSE/root of Jesse prophecy to descent from any of Jesse’s offspring and thius ANNOINT a NEW ROYAL –not a DAVIDIC RESTORATIVE ROYAL . So there were lots of ways to turn fuzzy monarchial hopes into a “PROMISED MESSIAH” …BUT how to square that with the child shall lead them and NOB priestly Messiah prophecies. THE people then had to SEPARATE their MESSIANIC dreams into alomost anything goes hopes for any sort of Messiah or Saviour. YET -clearly NO SAVIOUR came to SAVE THE JEWS from the rOMAN YOKE …JESUS FAILED (though he was a success with the GENTILES who even DEIFIED him to GODHOOD later and so founded an entirely new religion) . IN FACT THOUGH -we DO GET ONE CLEAR prophecy of a SAVIOUR to COME at the END TIME to SAVE THE JEWS from enemies attacking them. THE TEMPLATE is a CLEAR as in the KING CYRUS prophecy in that this SAVIOUR is NAMED –he is MICHAEL and given the epithet SAR HAGADOL –while some take this a GREAT PRINCE MICHAEL (indicating royal lineage) the fact he comes and saves only AFTER a character call MESSIAH —fails to save— and is killed (“cut-off”) and the FACT that this MICHAEL saves HIS PEOPLE (the JEWS) and is called a SAVIOUR but never called a MESSIAH indicates that he is NOT A ROYAL OF THE DAVIDIC LINE ….neither is he associated with the AAARONIC-ELIEZER priestly line-he is not a COHEN! HE is NOT A CHILD . THUS the entire “HOPE” prophecies of Isiah are cast into the rash heap by this CLEAR STATEMENT of WHO will ULTIMATELY SAVE JEWS at the END. and after END-TIME till then –which MEANS no rabbis can determine any OTHER PROPHECY given before by other prophets as VALID -you cannot take for instance the hopes of Isaiah or EZIKIEL or any prior prophecy about the end time as having ANY TRUTH at all! THUS MESSIANIC prophecy concerning the END-TIME is exposed as UNRELIABLE or even a HOAX. THE HIGHEST FORM of END-TIME PROPHECY is the SAR HAGADOL PROPHECY given on the athority of GABRIEL to DANIEL ..
1. THERE willbe NO MESSIAH SAVIOUR at the END-TIME,but the JEWS will get a SAVIOUR. 2. THE SAVIOUR is known–at least by his first name: MICHAEL. 3. JESUS anin’t coming back to save anyone. HOW COME nobody paid any attention to this SAR HAGADOL MICHAEL prophecy but instead tried pulling predictions out of IOsiah, Esiekiel and several other prophets to suit their fuzzy ‘hopes”? Precisely BECAUSE the archangel GABRIEL said nobody could guess the ACTUAL END-TIME TRUTH till SAR HAGADOL MICHAEL shows up to reveal it. FROM the portion GABRIEL does reveal we KNOW a MESSIAH figure comes and tries to save his people fro invader armies attacking Israel from the North and South . This guy makes a deal for peace,it gets overturned and he is killed off ,ONLY then does the REAL SAVIOUR–MICHAEL show up to save his people. HE is given the ephither SAR HAGADOL in this case GREAT COMMANDER or GREAT LEADER (so he is either military or some leader official or maybe just given the ephithet later for what he does –so maybe just an honourary title? IN any case-NONE of these events including the invasions happen UNTIL the TEMPLE has been re-built -and then some abomination causing desolation is placed in it.. SO we need not worry-or rejoice that the END is at hand yet. SINCE SAR HAGADOL MICHAEL saves the JEWS ultimately (WE are not told how) —we DO AT LEAST KNOW THAT ultimately JEWS WIN,INVADERS LOSE. THAT is all we do know–except that there willbe a RESSURRECTION of all those whose names are written in the SCRIPTURE OF TRUTH .. Does this mean your name must be wriiten sowhere in the TANACH or just in ORAH? OR is it just metaphorical meaning those who were Jews in the past til they dies willbe ressurrected? OR does it mean SAR HAGADOL MICHAEL reveals to us some NEW SCRIPTURE from GOD? WE simply cannot say. HOWVER we can IMPLY that IF TIME ENDS ,but if JEWS survive on EARTH –then we will require a brand new CALENDAR t mark time going forward from that NEW START POINT? THIS IMPLIES JUDAISM will CHANGE. THE ERA of the rabbis willcertainl;y be OVER. WE may get new rules and new holidays –but I guess we’llneed to wait to find ou. maybe i’m not the guy after all. ALSO trying to predict the END-TIME –NEWTON though the hints given led to a possible time around 2059-60–my own attempt to decode Daniel suggests 2039–Hebrew year HET TET TET (5800) –but until they re-build the TEMPLE –none of the END-TIME events can happen.. So i guess you can stillbreath easy–BUT FOR SURE–JESUS ain’t coming back–GAbriel is blowin no horn nor is ELIJAH coming ahead to announce anything ..TAKE GABRIELS’s word on this -NOT gonna happen—so whether you believe rabbis erroneous olf wives tales ,whether you believe the followers’ “HOPES” for a Jeus come-back–whether you believe in some UTOPIAN after END-TIME “paradise on EARTH” -we are told NONE OF THAT …IF you are Christian or Muslim and want to fantasize about Judgement Day and reward-punishement ,heave or hell–THESE ARE NOT JEWISH IDEAS–NOT PROMISES BY THE JEWISAH GOD–we are promised ONLY survival on earth and a NEW TIME starting .WE JEWS are promised ultimate victory over our attacking enemies -WE get to GO on –but if YOU attacked us -YOU GONNA LOSE and bye-bye to whatever heaven or hell you believe in –but we can take a less crowded earh if you are gone. HOWVER if you add back our RESSURECTED DEAD then there willbe a lot more JEWS back on EARTH .. SO christians -JESUS ain’t coming vack-if you want to stay on earth in the NEW TIME–either convert to Judaism while you can or go atheist -BUT DO NOT ATTACK US or sUCCOR OUR ENEMIES –listening Mr. OBAMA ? IF YOU ARE one billion MUSLIMS–same thing –become ZIONISTS while you still can– or maybe it is HELL for you if you harm ISRAEL.. TAKE this from GABRIEL (JIBRIL) the same angel who 12 centuries later allegedly told MUHAMMEd that ALL the land he showed to MOSES belonged to the JEWS-this ois In the KORAN ! LET everyone get this clear –the rabbis MESSIANIC end-time prophecies are bunkum;the christian Jesus comes back to save a rule is bunkum; the IMamms and ayatolllahs admonition to hate zionists is the exact opposite of what the Koran instructs–and GABRIEL is the same angel who instructed both DANIEL and MOHAMMED so if you ‘BELIEVE” –you had better BELIEVE IN ZIONISM and that the JEWS therefore OWN ALL THE PROMISED LAND … (sorry PALS) ..
Assumptions about the historical Jesus often rest on the belief that Paul was a follower of Jesus and a messenger of Jesus’ own teachings. There is considerable evidence that Paul was trying to found a Hellenistic religion that used Jesus’ name but not his teachings. A careful analysis of the Gospel of Mark, when read on its own merits without the later revisions of Matthew and Luke, reveals the story of a wealthy, educated, aristocratic man from a priestly bloodline who REJECTED the status of his birthright and tried to teach about “new wine in a new wineskin” (Mark 2:21-22). The author of Mark knew what he was doing when he first references David as that guy who broke the letter of the law for the sake of the spirit of the law (Mark 2:23-28). Mark’s David is not the king of 2 Samuel, but is instead the other David, the young David of 1 Samuel, the humble shepherd who drives away “evil spirits” with his lyre and never lets his heart fail. If Mark had wanted to show Jesus as a man who touted his royal lineage, we might have expected to see Jesus carrying out his ministry of healing and teaching inside the walls of the City of David. Instead, we see Jesus going just about everywhere except the royal city until the fractious final scenes. Mark even makes a point of showing Jesus leaving the royal city after the final meal ( a meal that includes artos not azymos) and heading over to the Mount of Olives, where it would have been very easy to stumble over a tomb in the dark and end up in immediate need of ritual purification. Are these the actions of a man who claims to be a king from a sacred bloodline? Mark 12:35-37 is quite clear on the question of the restoration of a Davidic state. According to Mark, it will not be happening through the man named Jesus. Rose was quoting the KJV. Rose, what translation of Jeremiah are you reading? And where in Luke’s genealogy do you find the women? And what do you make of Haggai 2:21 where Zerubabel is identified as the governor of Judah? Seems like a lot of inductive reasoning, there are some problems with Jesus in the line of David. 1) Josephus gives the lineage of almost all kings in and around Jerusalem and Galilee in that day and the lineage of David is not on the radar. 2) The lineage of David isn’t on the radar in the Dead Sea Scrolls, Melchizedek is the ancient ancestor and Melchisedec is without lineage. 4) When asked about the linage of David, Jesus side steps the issue. 5) Zorobabel son of Salathiel are not people and never were, in Hebrew it literally means, “born in Babylon, of the sons held prisoner”. This is also made explicit in Haggai 2:23 when Zerubbabel the son of Shealtiel is declared a ‘signet’ or sign. It was a place holder for the genealogies lost, there never were individuals named Zorobabel or Salathiel. 2) Mk 3:21 makes a theory that James, th brother of Jesus, followed Jesus in his lifetime to build a Messiah line a …fiction. Hey, go to [email protected] comments on it!!! To have “not the slightest doubt” about the claims made on behalf of Jesus is somewhat presumptive in the light of all the uncertainties about Jesus’ life. Even his place of upbringing and title of Jesus of Nazareth is very doubtful, as there was no Nazareth in his time. Jesus apparently assumed the mantle of Melchizdek, which makes some sense, but why would he want the stigma of King David’s persona – a person who ruled around approximately 950 BCE and noticeably failed to live up to the righteous ideals demanded by the prophets of the books of Kings and Chronicles, Jeremiah, Ezekiel and Micah. David’s hands were stained with blood and he broke almost every one of the Ten Commandments. He had Uriah, an officer in his army, effectively murdered in order to marry Uriah’s wife; he brought destruction on 70,000 Israelites for his evil doings. In a castigation by the prophet Nathan, David is roundly condemned for his evil acts against God and told that his descendants will suffer as a result of his murderous deeds. This is hardly a worthy pattern for a future messiah. He may have understood himself as a legitimate King of Israel, but was ambiguous about his role as the Messiah and we cannot know if any assumption was self-awareness or placed on him by the gospel writers. I’m curious about the reference to Josephus, genealogies and Sepphoris. I find reference to the burning of Sepphoris by Varus in Josephus, and to the burning of the genealogies by Herod in Eusebius (quoting Julius Africanus). On what basis are the two being conflated here? This article is IMPORTANT for anyone truly wanting to understand the climate that pervaded the first century and the subsequent creation of Christianity.